Ask any cigar smoker what are the ingredients in a handmade cigar, and the answer will probably be something along the lines of this: 100% tobacco leaves (maybe they’ll also note vegetable glue, a small amount of which is used to attach the wrapper). This is without a doubt true, and let’s hope the FDA agrees, but when it comes to making cigars arguably the most critical ingredient is water, or more specifically moisture. You don’t have to be an expert in cigars to know humidity matters. A cigar that is too dry loses flavor and burns too hot, while a cigar kept in too much humidity may be bitter, burn poorly, and risks mold in storage. 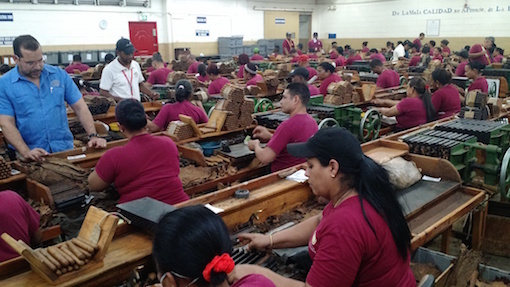 I’ve visited cigar factories many times but, by starting this tour on the farm before going to the leaf processing facility and then finally the factory, it drove home the importance of controlling moisture to make an enjoyable final product. From seedling until harvest, of course, a tobacco plant needs water. 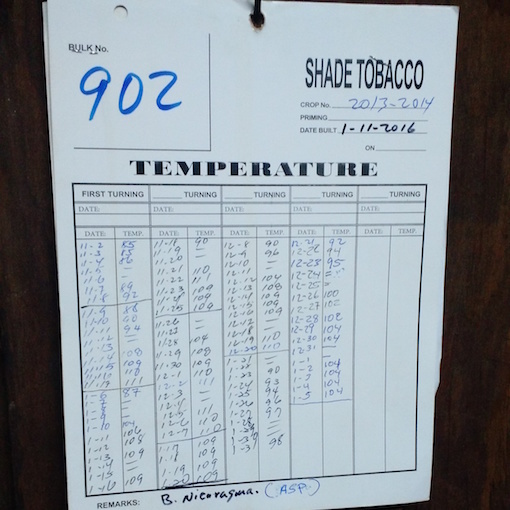 When tobacco enters the curing barn, its moisture content is around 85%. After hanging upside down for four to six weeks (either sewn onto a rope or fastened to a wooden pole), the moisture level drops to around 30%. 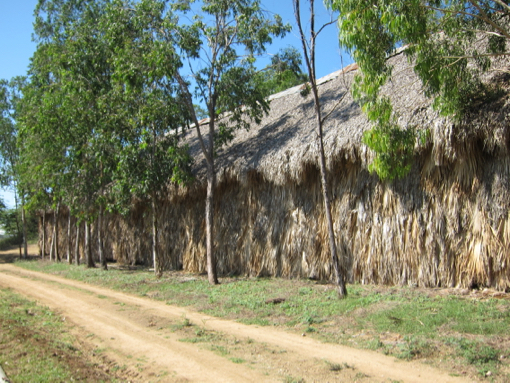 Some producers will use small fires in the barn to bring down humidity levels in what are generally high humidity tropical climates. At this point, the leaves are ready to be sorted and prepared for fermentation. After curing, the tobacco leaves begin to look like the tobacco you’ll find in the cigars in your humidor. It isn’t ready to made into handmade cigars yet, though. 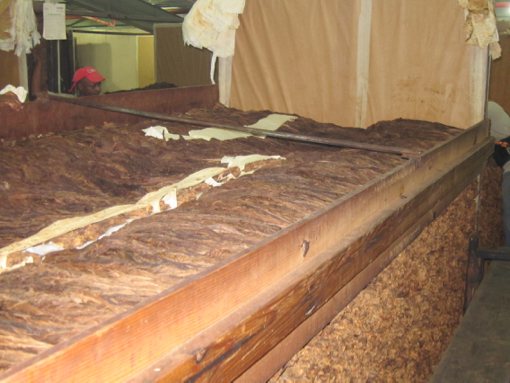 The critical next step is fermentation, sometimes referred to as “sweating” the tobacco. 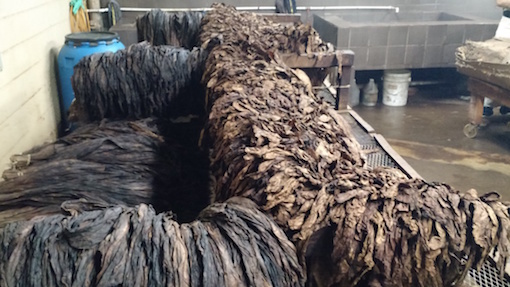 In fermentation, tobacco “cooks” by being stacked in a way that pressure, along with natural microbes, break down the tobacco and generate heat. 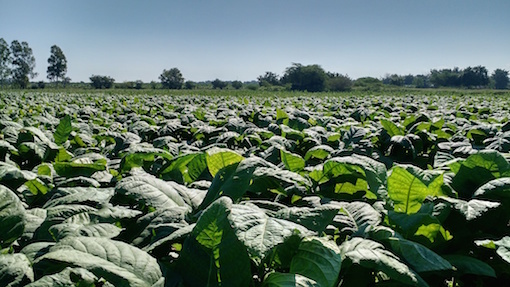 Hands (a bunch of four to six leaves) of tobacco leaves are stacked in piles, often as high as six feet, where the middle particularly begins to rise in temperature. Temperature is closely monitored. If the tobacco gets too hot (140 °F, perhaps lower depending on the type of leaf) it will overcook. 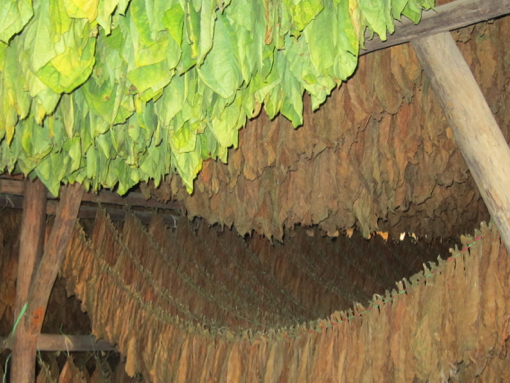 Over time, the tobacco is rotated to ensure even fermentation. By the time fermentation is completed, taste, aroma, and combustion are improved, while the harshness of nicotine, sugar, and ammonia are reduced as proteins breakdown. True maduro wrappers, as opposed to those that rely on artificial coloring, come from a longer, more intense fermentation process that creates a darker, richer color. 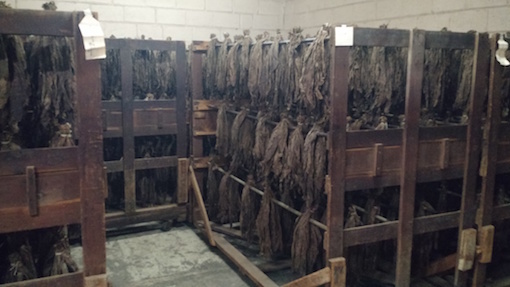 At this point, the tobaccos are ready to be rolled into cigars. That said, some companies will age their tobaccos further (one to three years is not abnormal), the especially wrappers. This can be described as low level fermentation. 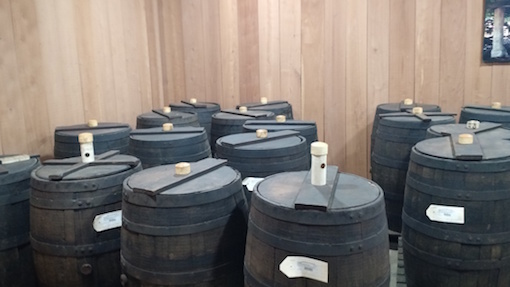 For select tobaccos, aging in barrels (especially rum barrels) is another common technique to add even more complex and rich flavors. Even as cigars are being rolled, proper moisture is key. Wrappers, in particular, are frequently moistened to make them more pliable and durable. Later, after the cigars are bunched and rolled, they go into aging rooms where moisture is again key. In the aging room, cigars release excess ammonia and equalize moisture levels between the filler, binder, and wrapper tobaccos. After at least a few weeks in the aging room, cigars are ready to smoke. But, in order to remain ready to smoke weeks later, moisture content must remain stable between 65% and 70% relative humidity throughout shipping to your cigar shop and, eventually, to your home humidor, where Boveda packs or your humidification device of choice keeps humidity stable. 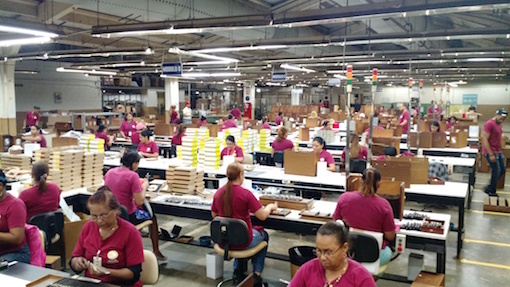 As you can see, controlling moisture from start to finish may be the single most important aspect to cigar production. The best tobacco without proper curing and fermentation will produce bad cigars. Only time, tobacco, and proper moisture control can produce a fine cigar.